Ukraine's state-run military-industrial concern Ukroboronprom rose in the SIPRI Top 100 arms-producing and military services companies by seven positions in 2016 and ranks 77th, with the sales index at the level of $1.06 billion. 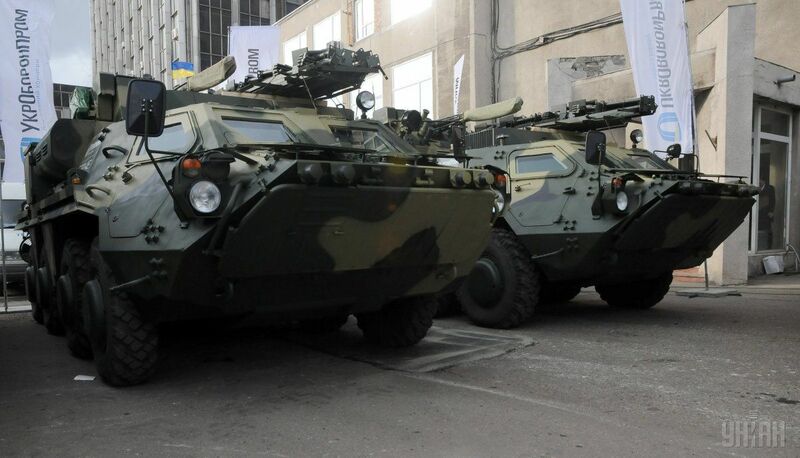 "Ukrainian company UkrOboronProm's arms sales rose by 25.1 per cent in 2016. This was mainly due to high local demand as a result of the ongoing conflict in eastern Ukraine, its absorption of the aircraft producer Antonov in 2016, and arms exports," according to SIPRI Fact Sheet, December 2017. It is reported that arms sales of the world's 100 largest arms-producing and military services companies (the Top 100) in 2016 totaled $374.8 billion. This represents a 1.9% increase compared with 2015. This is the first year of growth in Top 100 arms sales after five consecutive years of decline. Read alsoUkroboronprom tests retrofitted model of armored infantry vehicle (Video)The arms sales of the Top 100 for 2016 are 38% higher than those for 2002 when SIPRI began reporting corporate arms sales. The growth in arms sales was expected and was driven by the implementation of new national major weapon programs, ongoing military operations in several countries and persistent regional tensions that are leading to an increased demand for weapons. Read alsoPoroshenko boasts Ukraine’s brand new 3D-radarAccording to the report, arms sales by U.S.-based companies in the Top 100 rose by 4.0% to $217.2 billion in 2016. With 38 companies ranked in the Top 100 for 2016, the USA accounted for 57.9% of the total Top 100 arms sales. The combined arms sales of the 10 Russian companies listed in the Top 100 reached $26.6 billion in 2016, accounting for 7.1% of the overall total.